If you wonder why petro-states like Russia and Saudi Arabia have become so bold in attacking democracies around the world, and why a fossil-fuel dominated Republican Party is carrying water for them, look no further. But because stocks are not the only thing investors put money into — Mercer also looked at the consequences for property, bonds and infrastructure — overall, efforts to curb climate change are expected to benefit investors by between 0.1% and 0.3% a year. Allowing it to run unchecked would hurt returns overall. But if governments fail to take action, and emissions of carbon dioxide continue to rise, leading to global warming of 4°C by 2050, there will be no winners, Mercer predicted. Helga Birgden, global business leader for responsible investments at Mercer, said the report showed that for “nearly all asset classes, regions and timeframes, a 2°C scenario leads to enhanced projected returns versus 3°C or 4°C and therefore a better outcome for investors”. Why would companies that provide 20% more natural gas in 2050 than currently and still provide 70% of current oil production lose 95% of their value? Plus, they wouldn’t be like every other company and compensate for lost revenue streams with other sources? The report says ‘aggressive’ action still results in 50% gasoline cars in 2050, 70% oil use, 20% more natural gas use, and investment in renewables in that time doesn’t even double – and yet we stay under 2 degrees warming in that scenario? It does seem weird. Probably because electric vehicles are going to have a lot more penetration than the report estimates by 2050. Regardless, these b******s chose the most nefarious path possible, by electing to conduct a secret multi-billion dollar disinformation campaign. Instead of reaping trillions of dollars by embracing the challenges and technologies and opportunities inherent in building a new carbon-free energy system. History will record Exxon and Koch, etc etc as perpetrators of evil on the grandest scale in human history. Probably because electric vehicles are going to have a lot more penetration than the report estimates by 2050. I still think ICE cars will have a very long tail in many parts of the world, even after new car sales are dominated by EVs. Large oilfields produce for decades. If there is more remaining in existing fields than is allowed by the carbon budget, then it becomes a permanently oversupplied market at some point. There are about 900,000 active oil and gas wells in the US. 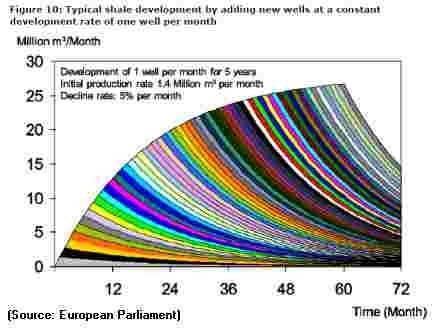 Half of the oil wells and 2/3 of the gas wells are unconventional shale explorations. Those are depleting much faster. More than half a trillion $$$ have been burnt this decade by fracking companies. So these assets are not worth what certain investors still think. Exxon set to lose its lobby registration at the European Parliament for their long history of misinformation campaigns. The “petro-dollar” is deeply embedded into the health and running of the U.S economy – it will have to change profoundly to adapt to a non fossil-fueled centric system, I guess president’s like Trump cannot a imagine post-ff society. The sooner that this affront to lands and the original occupiers of those lands end and returns it to nature, the better. Can we wait for the bubble to burst ? Listen to this guy he knows what he is talking about. Time is running out to save the natural world from extinction. Peak demand on the horizon? Chevron, the second-largest US oil and gas company, has agreed a $50bn deal to buy Anadarko Petroleum, one of the country’s leading independent producers, in a significant move towards consolidation in an industry that has been grappling with weaker oil prices since 2014. Peak oil demand – maybe – if the global economy never speeds up again. EVs still have such a slim market share that they have little impact at this point. A slowing economy? There is still unsustainable growth. There is an international natural gas war going on since the fracking frenzy in the US. Also see my comments further down. Sorry. That link was meant to only cover the word ‘growth’. The near term still shows rising oil and coal and FF’s to power civilization. We’ll grab and use any and all energy available. In the unlikely event of a significant carbon tax, a study a few years ago found that they’d lose not 95% but 100%. They’d all go bankrupt. However, a recent article said that Saudi Aramco could produce oil at only $3 per barrel; that’s stiff competition when push comes to shove in the economics of alt energy. What will happen is that the developed countries will arrange for the remaining FF budget to be produced in their own (or allied) countries, and the rest will stay in the ground. We are already seeing this vis a vis Iran, Venezuela and the push to replace Russian gas supplies to Europe with US LNG. US LNG has a worse carbon footprint than coal. Fossil methane is 87 times as bad as CO2 for the climate. 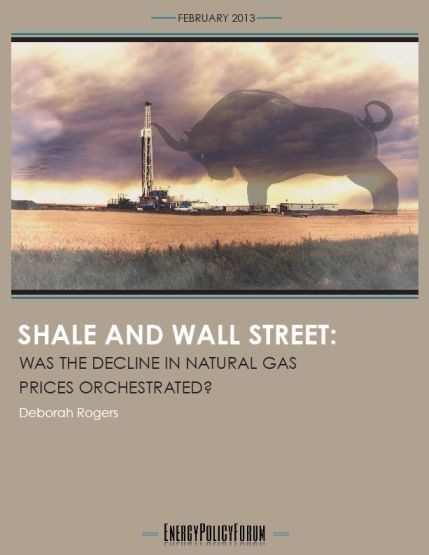 A gas well remains a gas well, even when production is long ceased, the well is just plugged. As shale gas exploration needs an ever growing amount of wells being drilled just to keep production flat, we will see a vast growth of the amount of gas wells. 5% of gas wells leak from day one. After 14 years, 50% of the wells are leaking. So it’s only a matter of time when methane will be released into the atmosphere. Ultimately, these companies will go where the money is. If they see it in fossil fuels, they’ll go there. If they see it in renewables, they’ll go there. Nuclear, ditto. It’s often said, on Wall Street, that the stock market’s prices reflect all available information — an idea known as “efficient market theory.” The idea has dominated the financial sector for half a century. Fooled by Randomness: The Hidden Role of Chance in Life and in the Markets (2007), by Nassim Taleb. Ever notice how every change in the market can be explained post-facto as a predictable event. Wall Street has a long history of bullshitting itself. Mean Markets and Lizard Brains: How to Profit from the New Science of Irrationality (2008), by Terry Burnham. The irrationality of the human brain is a central topic to the skeptics’ movement, explaining people’s embrace of woo. This book focuses on how it manifests in the investor community. The Myth of the Rational Market: A History of Risk, Reward, and Delusion on Wall Street 2010, by Justin Fox. He uses the history of the stock market to break down the myth of the rational marketplace.